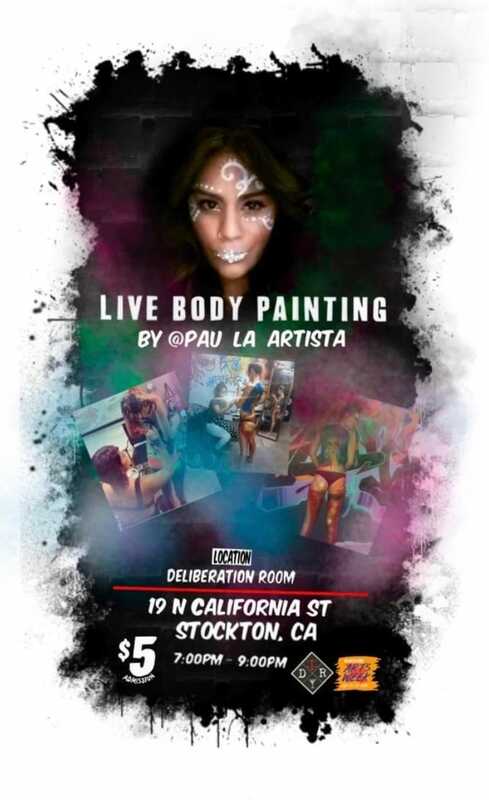 Local artist exhibiting live works of art at Deliberation Room to celebrate Stockton Arts Week! Don't miss your chance to experience a live body painting and watch as Paulina Mendez transform her model into living, breathing works of art. There will be a $5 admission, which will go towards a raffle of an original painting.